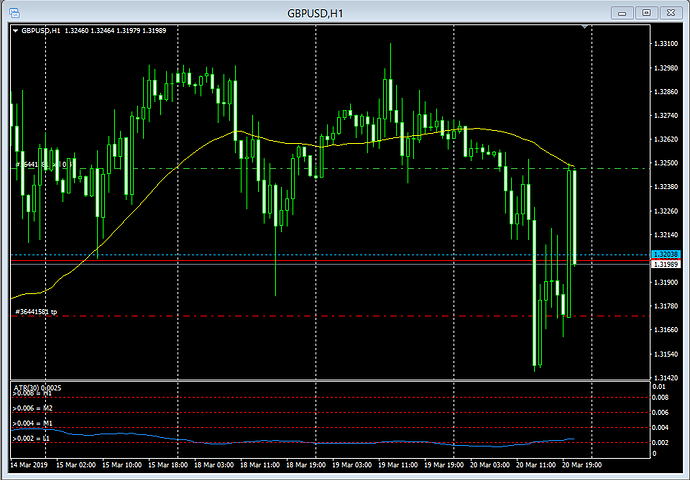 Still figuring out how to get out of EU, or indeed place a positional hedge whilst the bias is undecided. Certainly not for me to suggest anything but I think according to your own rules, the weekly system EU trade should remain as it is with the same stop and TL at BE? Unless you have other rules that come into play here? Which only leaves your discretionary account? But I thought its purpose was for taking other trades based on their own merits rather than as an external hedge account against the system trades? If you go down that route is it not distorting your system criteria? But, naturally, if the EU is presenting a trade opportunity independent of the system settings that is an entirely different issue! 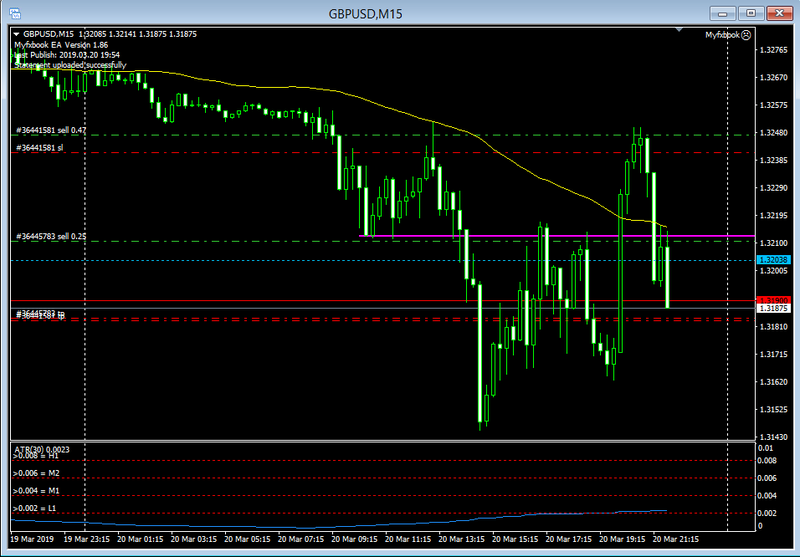 approaching the entry level at the time of typing this, we were 1.1pips away in the last few moments. I’ll update this individual post with the progress, if any. 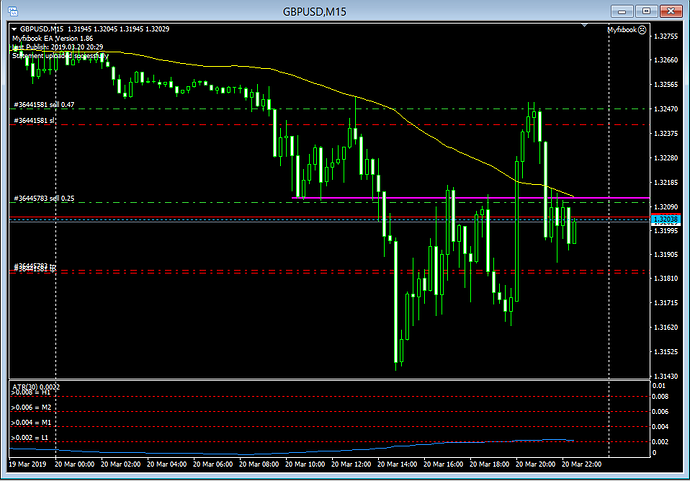 it’s retraced south by 40pips now, looks like the entry price was a fraction too high - typical, but you can’t get them all. So i’ve lied and I have taken the trade. A healthy potential RR of 1:5 risk to reward (I just couldn’t ignore it). 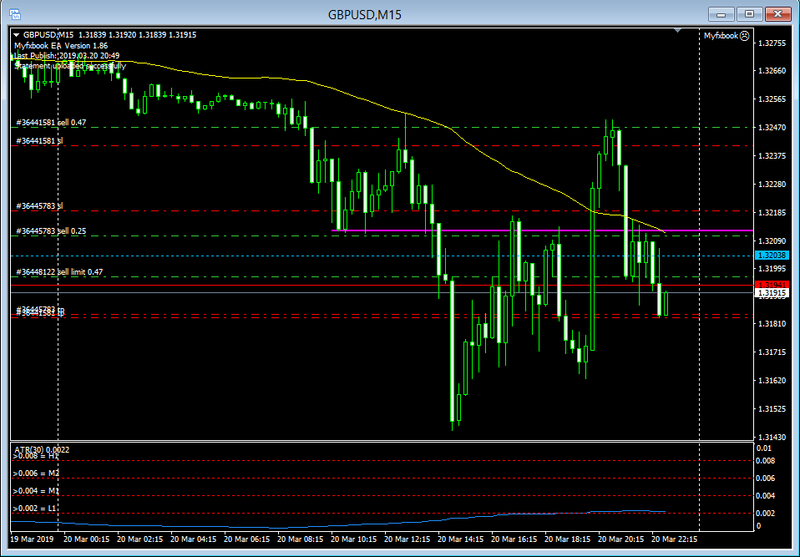 SL has already been moved to the entry price to mitigate the risk. That, unfortunately is about the only issue that is driving GBP in these last days of Brexit uncertainty. But that was a shrewd move to get Tusk to make an extension dependent on acceptance of “the deal”! Now labour have a very difficult situation where rejecting "the deal"once again would almost certainly make the no-deal option most likely - which they do not want either! Will it really end up with Labour winning the Conservative government’s vote for them?! 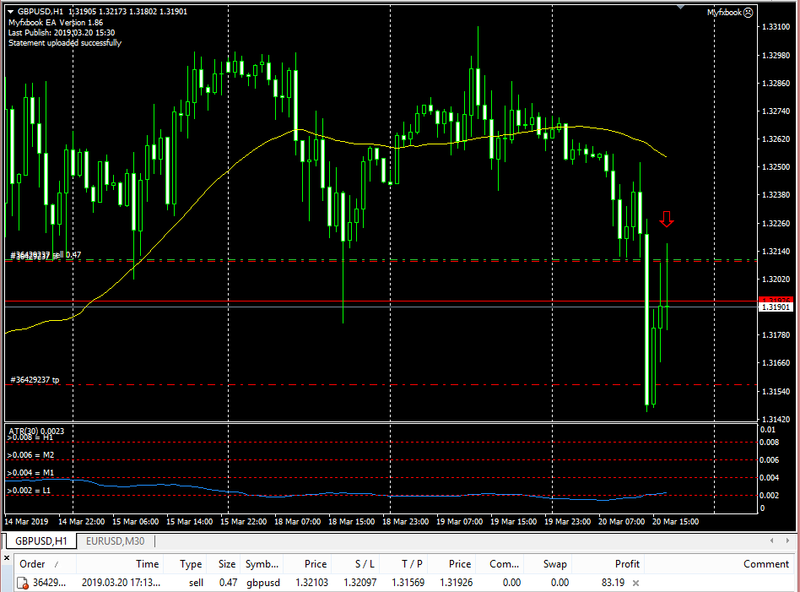 Not good for trading…or much else come to that! Looking forward to seeing your levels at the weekend for next week! PS. But your EU is still holding in there! The FOMC news ended any realistic chance of the EU trade closing at BE; and that’s all it was, a “chance”. I knew that it should have been stopped out prior to this. Always fun to be dragged along the floor with an ounce of hope! Gotta love FX or it’s not for you. So what does this mean…well it means the week is over with both the GU and EU pending orders being triggered and closed. Net gain of +1.99% after compounded adjustment. New week next week, it’s been fun today. 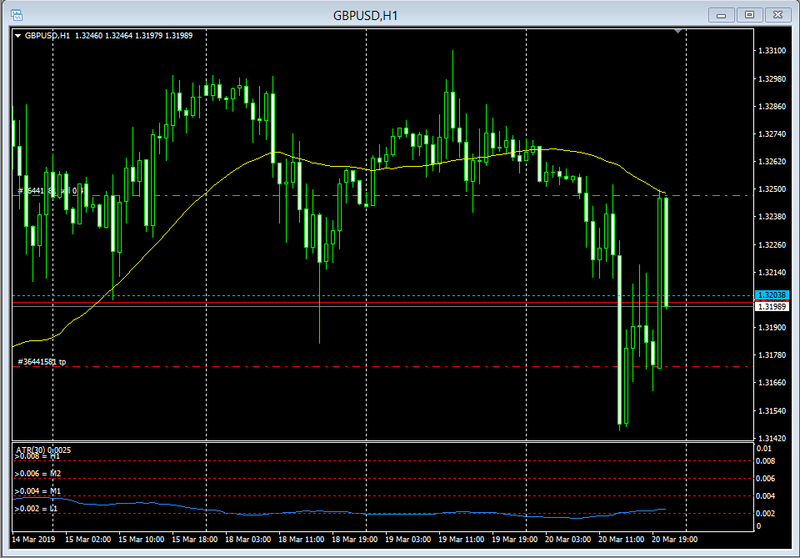 Also i’m currently in a short trade right now in GU in the discretionary account. I’ve actually hid the account whilst this is open as i’m testing something new that I want to discuss here in the coming weeks. 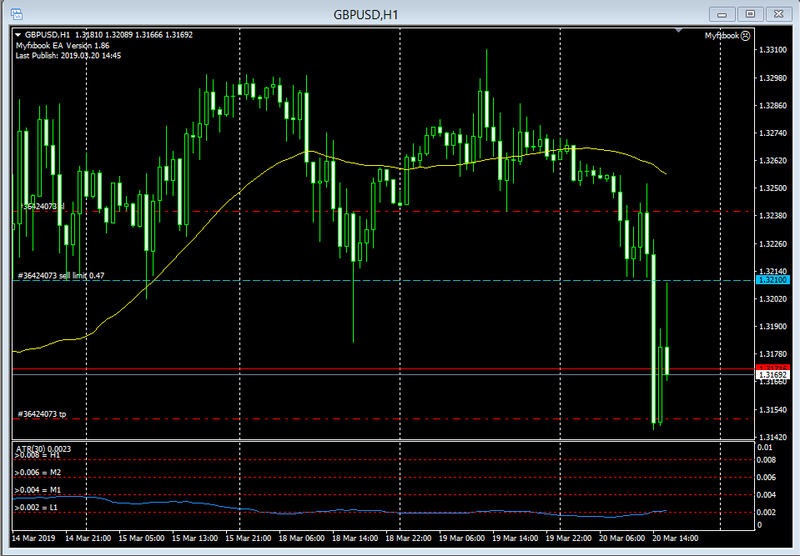 Well, that’s me done for the week, not great, again EU let us down and GU was picture perfect. And that is surely what it is all about. Time and time again we emphasise here that risk management is the key to consistency and not just getting the direction right! It is so rewarding to see you actually putting this into practice and demonstrating it in live situations. 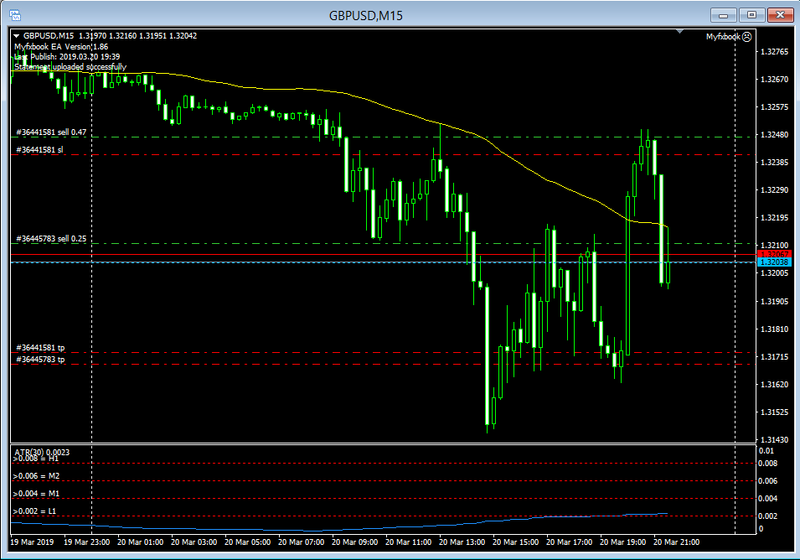 GBP appreciating against the USD…NO, the UK is in a sh1t storm of a mess. Its why we keep doing this! 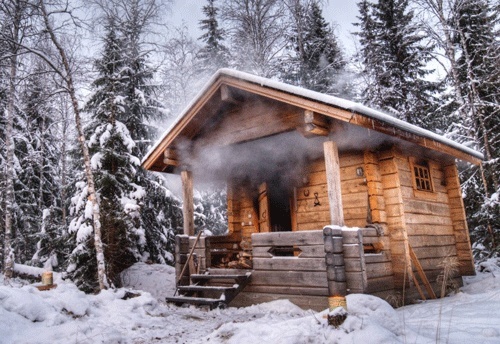 I confess I was off the screen tonight, Afterall, Wednesday night is sauna night up here - even if it is still winter! 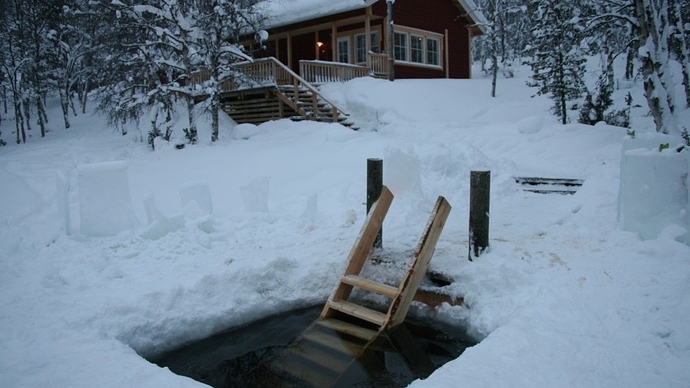 As a Brit there are two things I will not do here: drive on frozen lakes and winter swimming!!! I might have to put that one on my wall. BUt I really think you need to reconsider your earlier thoughts about Mrs M! We seem to share a similar fascination with charting. It is not so much the rewards, it is the sheer fascination of extrapolating a future move based on current price info on a graph - and then actually seeing it do exactly that! It’s uncanny at times where you can simply draw a horizontal line at what is clearly a key level, and it holds. There’s nothing too complex about it - which kind of begs the question “why are others not doing this, or indeed everyone”. It’s the most simplistic approach that we can take, yet an approach that requires a tonne of experience to pick out such levels. Maybe speculating is more of an art than a science after all. To be honest the picture below would make a perfect educational example. This is basic positional staggering where one profit margin feeds the next trade - essentially a zero risk as long as you consider the average entry price, right? 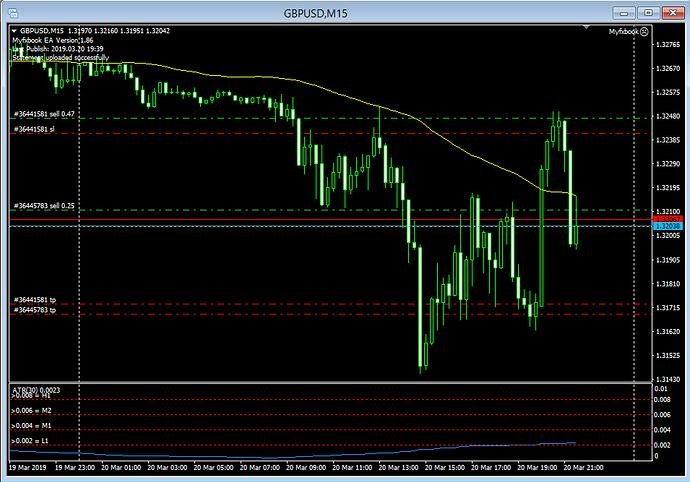 Anyway, let’s see how it plays out, as usual I’ve just missed the TP by a fractional amount. Same old. Looking at the charts this morning, it seems you (again) got filled within a “nanopip” off the low?! It looks so close on my chart, anyway. BUt different brokers, different spreads, I hope it did get filled! Mrs M is off to Brussels today shopping for a few months extension. If, as it seems, the EU agree to a once-only extension, and only to Jun at most, and conditional on acceptance of Mrs M’s deal, then, since the UK govt has voted not to leave without an agreement, it would leave the UK govt with no other option than to accept the agreement on its third vote next week, which would be almost checkmate to Mrs M and the EU…but only almost! Ironically, it could be the Labour party that finally gets the Conservative government’s proposal through in spite of the no-deal conservative “opposition”! As, for them, a “bad deal” exit is better than a “no-deal” exit, and the EU will have left no time for any other renegotiation - and have again said there will be no renegotiation, anyway! Of course, there is still the option of unilaterally withdrawing from Article 50 and dropping the whole Brexit thing!! Mrs M is off to Brussels and we are off to the summer cottage on a beautiful sunny morning for the first visit this year to start the summer season. This means a clean up after the winter hibernation, checking that no elks or bears have damaged anything and maybe even grilling some sausages on the still frozen lake . I have just noticed that we apparently won’t be getting any updates here from Bacon until Apr 3, 2019 3:00 pm. earliest. Ridiculous to place an obstacle on someone posting to their own journal - which others are seriously following!! !